I have always had a peculiar relationship with the Dorset Stour. 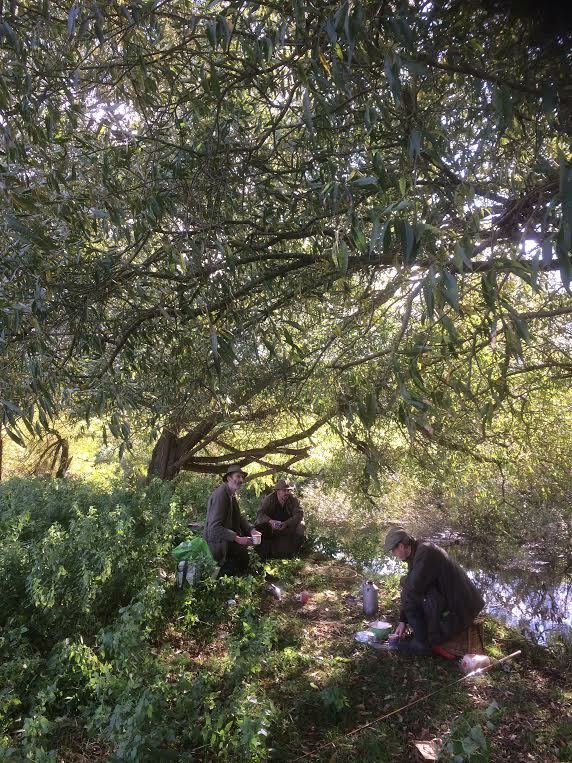 A couple of visits as a child and teenager offered me a river full of mystery and intrigue, but after a long period of barbel obsession (that had a distinct chalk stream edge) I struggled to understand the Stour when I returned to her banks. I tried to speak the chalkstream language I had spoken for so long without considering the need for translation. The messages which I found so easy to read on the Kennet or Avon had a different meaning, and rather than take the time to learn the Stour’s own nuances, I blundered by shouting. I had learned, particularly on the Kennet, to look above the surface for signs of where to find fish. Rafts, trailing branches and undercut banks. Riffles, ranunculus and exposed roots. It wasn’t that such features wouldn’t also produce on the Stour, more a case that in coloured water and without gravel beds, the fish would not be so heavily reliant on overhead cover. On my first return to the middle Stour, I took no time to consider this, and the river seemed to punish me as a result. 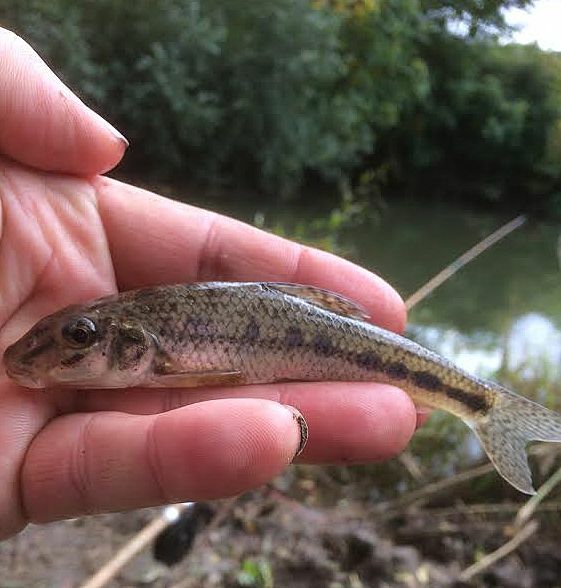 I caught nothing, lost my favourite float and then, having finally hooked a decent chub, saw the rod tip spring back as the fish dived for cover and snap against the branch of a tree. Since that day I have sometimes struggled with the mood of the Stour. In fact, on one occasion I felt so unwelcome that I packed up and left. In recent years though, we have been getting on far better. I have still to explore the renowned big fish waters of the lower river, but the middle reaches have given me my biggest ever perch and some truly stunning days. I have become especially fond of the stretch where I endured such a chastening return, and this is largely due to the fact that I visit now with the sole intention of having fun. The river was low for our first trip of this season. October was and largely remained, dry and sunny and the river had a decidedly lazy look about it as we stood on the bridge for our first glimpse. The three of us shared an oft-favoured run beneath a troop of willows, whose branches made casting rather tricky. I took the downstream swim and immediately found fish. 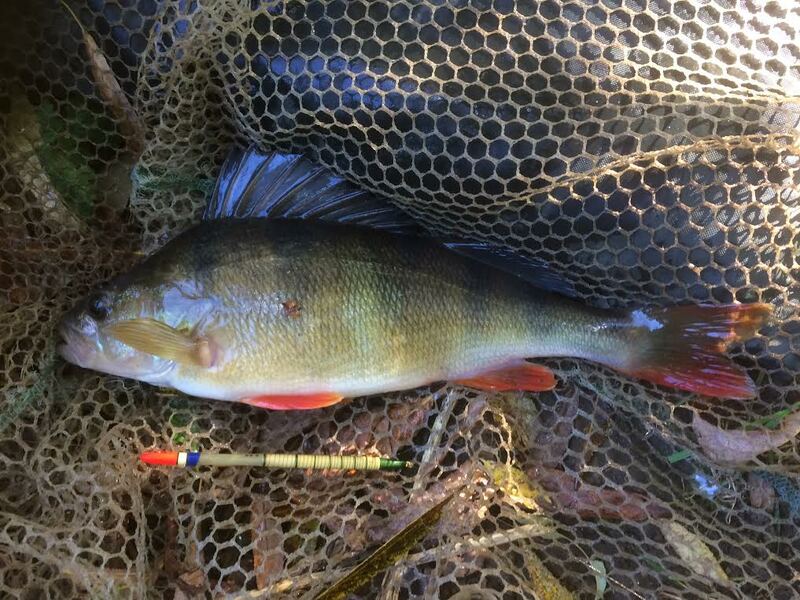 A roach and 2 gudgeon were followed by a lovely perch of around a pound. Chris and Les were picking up fish, but I was definitely in the prime spot. Within an hour I’d caught seven different species, and the gudgeon in particular were queuing up. Jason joined us, and nabbed a perch for himself, before I gave up the hotspot and turned to tea duties. Aside from not wanting to hog all the fish, I had extra incentive to get the kettle on. A cup of tea was going to be welcome, but not half as exciting as Cheryl’s cake. 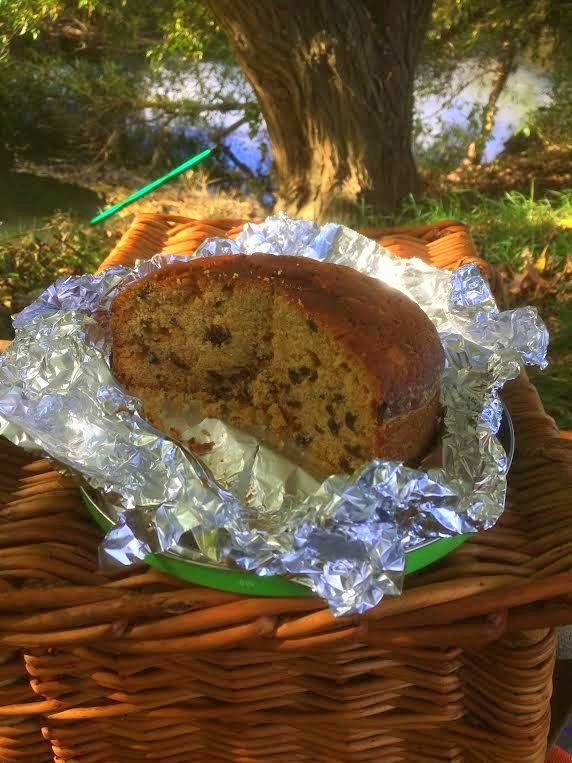 Les’ exceptionally lovely wife had made a boiled fruit cake for us – and it was simply stunning. Surprisingly light, a perfect spread of fruit, perfect caramalisation around the edges and just a hint of spice. It didn’t last long. The fish kept coming and among them were perch. In recent seasons the once prolific perch on this stretch had all but vanished, but I managed four in the end and Les snuck in at dusk to take one of his own. It was a great day, and Chris and I were back the following week hoping for more. I began further upstream, above a horseshoe where the incoming current caused a lovely crease that began beneath my feet. There was eight feet of water which I ran a float through and began catching immediately. A chub was followed by a nice roach and a perch, before the gudgeon moved in. I shallowed up and stepped up the loosefeed and began to catch a few dace but the fish were not coming as quickly as they had the previous week and were of a smaller average size. The draw of last week’s swim began to build, and with an hour of light left I had to move. Chris was similarly minded and we all but ran the two fields to reach the lower end willows. With a little more water in the river, we opted to fish slightly higher up, with the advantage also being that without the cover of the trees, we should be able to see our floats for a precious few more minutes. After a couple of casts I hooked a nice roach, while Chris, on the opposite bank had a decent dace. The gudgeon were soon upon us again, but among them were some much better fish. As the light went, Chris’ rod thumped over as he struck into a bigger fish. The contact was all too brief though, but within moments of his despair I too lifted into something substantial. For a moment I thought I’d hooked a snag, but the rod nodded a couple of times and the fish began to ease upstream. This was no chub or pike, and though a big perch was possible, the thumps had felt more like a roach. Woah! I thought—this would be some roach. And then—ping—and that gut wrenching sense of what might have been. We felt surprisingly upbeat as we trudged back across the fields. The sharpened mood and intensity of that final hour had left us feeling pleasantly charged. And the fact that we had both lost a big fish, in pretty much the same swim, meant we knew exactly where to head on our next visit – and, of course, we went back the following week….